Looking for a new Toyota? View our HUGE online inventory. 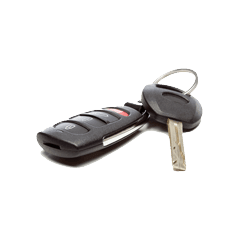 View our Certified Pre-Owned Inventory today! Thinking Pre-Owned? We’ve got hundreds of used vehicles. We will buy your used Toyota! Value your trade today. At Toyota of Santa Fe, we are proud to provide many new 2018 & 2019 Toyota models in our showroom! By bringing your Toyota vehicle to Toyota of Santa Fe for all your service and repair needs, from regularly scheduled appointments to major repairs, you can count on a continued driving experience unlike any other – for every single mile of your lease or ownership. We made your Toyota the superior vehicle it is today and we want to ensure it remains that way – whether it’s taken you 10,000 miles or 100,000 miles. That’s why Toyota of Santa Fe offers Toyota service and repair, so you have access to the latest specialized technology and precise analysis from Toyota trained technicians who undergo regular, frequent training so they’re always up-to-date on every component of your vehicle. Purchasing a vehicle is an important decision, so why not check out Toyota of Santa Fe’s Pre-Owned Specials to snag an amazing deal? Our sales team endeavors 100% of the time to satisfy our customers needs, and shopping for a quality car has never been more convenient. 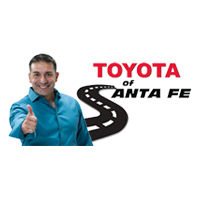 Toyota of Santa Fe is a car dealership at 1500 St. Michaels Drive, Santa Fe, NM 87505‎ 888-852-8800 offers great low prices, rebates, and incentives for new & used Toyota cars, trucks and SUV’s as well as Scion cars and SUV’s. Toyota of Santa Fe formerly Beaver Toyota extends our warmest welcome to our neighbors in Albuquerque, NM, Rio Rancho, NM, Espanola, NM, and Los Alamos, NMwith Toyota and Scion needs and we look forward to helping you. Do not miss out on our service specials, new and used car specials, and financing options.Customer service is our number one priority. 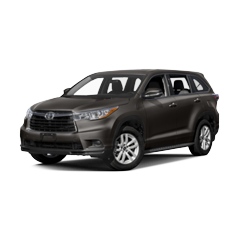 Regardless of whether you plan to buy a new or a used a Toyota 4Runner, Avalon“>, Camry, Corolla, Highlander, Land Cruiser, Prius, RAV4 , Sequoia, Sienna, Tacoma, Tundra, Venza, Yaris, you will always find the excellent prices and amazing service at Toyota of Santa Fe. 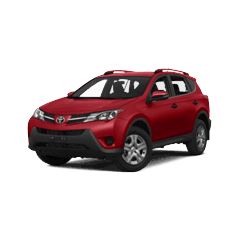 iQ, FR-S, tC, xB, or xD, you will always find the excellent prices and amazing service at Toyota of Santa Fe. Toyota of Santa Fe staffs a full finance team to provide you the vehicle loans and lease options you need. Don’t let your credit situation get between you and your dream vehicle. Our finance team has options for all credit situations. Whether you have good credit, bad credit, or no credit, we can help. Our team will work with you to get you on the path to financing your new or used Toyota car, truck, van or SUV. We make it simple. Si usted está buscando la mejor oferta en un coche usado, camión o SUV, vienen a Toyota de Santa Fe para obtener su mejor reparto. a stylish RAV4, the 8-passenger available seating Toyota Sequoia, the economical Toyota Sienna minivan,a midsize Toyota pickup like the Toyota Tacoma,a full-sized truck like the Toyota Tundra, or the economical, subcompact Toyota Yaris or any used car, truck, SUV, or minivan and learn about the latest specials on our new and pre-owned certified used cars. You will always find great prices, great service and factory original Toyota parts. 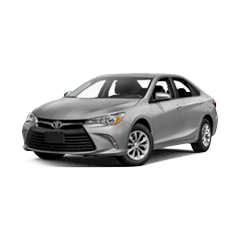 Our expert car repair service and Toyota automotive OEM parts staff keep Toyota and Scion cars in great shape. We at the Toyota of Santa Fe look forward to serving all your automotive needs. Our state of the art service department will keep your 4Runner, Avalon, Camry, Corolla, FJ Cruiser, Highlander, Land Cruiser, Matrix, Prius, RAV4, Sequoia, Sienna, Tacoma, Tundra, Venza, Yaris, or Scion iQ, FR-S, tC, xB, or xD in excellent condition and our friendly staff will make your every visit to the Toyota of Santa Fe a pleasant one. Bring your Toyota & Scion in for your next service appointment and treat yourself and your new or pre-owned Toyota or Scion the way you both deserve. We Strive to create a healthy, positive work environment allowing us to attract the best people in our market; creating a team unified in working to gain and satisfy all customers. A family with heart, who holds each other accountable consistently. Everything we touch, we make better. We lead with a servant’s heart and make our processes simple, easy and fun, and we engage our team members in solving problems and finding solutions. Toyota of Santa Fe serves the surrounding areas of Santa Fe, NM and offers great prices, rebates, parts and service for new and used Toyota cars, vans and SUVs to all of our neighbors serving Espanola NM, Albuquerque NM, Rio Rancho NM, and Los Alamos NM. Busca autos baratos usados en para encontrar los mejores descuentos Albuquerque,NM. 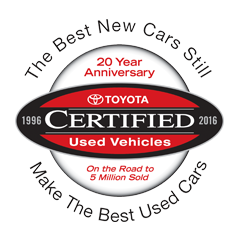 look forward to serving your Toyota needs and we wish to help you with your next used Toyota or Certified Pre-owned Toyota purchase. Find your next used or new car, truck or SUV that you would like to purchase, search inventory of all the used vehicles that we offer, request a vehicle price quote, find the value for your trade, view pictures and data about the latest Toyota FR-S, iA, iM, tC, 4Runner, 86, Avalon, Camry, Corolla, Corolla iM, Highlander, Land Cruiser, Mirai, Prius, Prius c, Prius Prime, Prius v, RAV4, Sequoia, Sienna, Tacoma, Tundra, Yaris, Yaris iA, learn about our current specials on new Toyota cars and Used Toyota cars that we sell. Certified Pre-owned sedans, coupes and convertible cars , Trucks and SUV’s in stock. Toyota of Santa Fe was formely Beaver Toyota . We had an ownership change but we still have all the same great people. If you where a fan of Beaver Toyota than you’ll still love us. Our Service and sales department widely known for their great attention to detail and customer satisfaction, is run by the Beaver Toyota Crew we just have a new name. Toyota of Santa Fe staffs a full finance team to provide you the vehicle loans and lease options you need. Our team will work with you to get you on the path to financing your new or used Toyota car, truck, van or SUV. We make it simple. Whether you are looking to purchase a new Toyota, a certified pre-owned Toyota, a used car, truck, van, or SUV, Toyota of Santa Fe is a premier dealership for buying a Toyota 4Runner, Toyota Avalon, any of the totally dependable 4-door Toyota Camry models, the Toyota Corolla, any rugged Toyota Highlander, a commanding Toyota Land Cruiser, any new Toyota Prius, a stylish RAV4, the 8-passenger available seating Toyota Sequoia, the economical Toyota Sienna minivan,a midsize Toyota pickup like the Toyota Tacoma,a full-sized truck like the Toyota Tundra, or the economical, subcompact Toyota Yaris. Learn about the latest specials. You will always find great prices, great service and factory original Toyota parts. Our expert car repair service and Toyota automotive OEM parts staff keep Toyota cars in great shape. We at the Toyota of Santa Fe look forward to serving all your automotive needs. Our state of the art service department will keep your Toyota vehicle in excellent condition and our friendly staff will make your every visit to Toyota of Santa Fe a pleasant one. Bring your Toyota in for your next service appointment and treat yourself and your Toyota vehicle the way you both deserve. We use Genuine Toyota parts and aftermarket accessory parts. Toyota of Santa Fe offers convenient service appointments. Proudly serving the nearby cities of Albuquerque NM, Rio Rancho NM, Los Alamos NM and Espanola, NM. We appreciated Aspen Leaf and CJ Padillia making I easy to get the Avalon Hybrid that we had been looking to buy. They made it the least trouble to take the car home to Roswell with us. Aspen is the best!!! Great place to trade in and buy a new car! Melda was my sales rep and she was absolutely AMAZING!!! I really enjoyed my car buying experience and she made it very easy. I would highly recommend this place, if you're looking for a new car but also want to be treated like family! Thank you again so much for a great experience! Overall excellent experience. Aspen was very knowledgeable, respectful, and friendly and he was very patient and showed me many trucks until I found the right one!